The Taylor Bryan Company strives to set the standard of excellence in all aspects of design, building and client service. Providing the highest levels of craftsmanship in the industry and exceeding each client’s objectives is our goal. The Taylor Bryan Company is a design/build/remodeling firm serving the residential and light commercial remodeling needs of North Central Connecticut and Western Massachusetts. We’d love to hear about the type of project you’re considering and welcome the opportunity to work with you. Wolfworks is a company of experienced designers and builders. We align design with construction to create value. For people planning to invest in creating a better home, we are guides. We provide GPS like navigation to a distant destination that our clients can trust and follow, coupling creativity and imagination with practicality and reliability to create spaces that look good, work well, and feel good to be in. We know that without guidance the process will be more difficult and the result less satisfying. We know the ropes! That's who we are and what we do. We've been doing it for over thirty years, beginning in Hartford's West End, gaining a reputation for craft and imagination in Greater Hartford and the Farmington Valley. We are closely aligned with the principles of Sarah Susanka's "Not So Big House" series of popular books, and our work is featured in two of them. For decades we have been active members of what we might call the "responsible building" community, especially thru the Northeast Sustainable Energy Association. Thru those associations we have developed expertise in the practice of using energy and materials wisely and responsibly, including becoming the first Certified Passive House Consultants in the state. In existing homes we seek solutions that make the best use of available space before constructing additional space. In all projects we intend to respect what we use. We use energy efficient equipment and construction strategies, and seek materials that are durable, safe, and resource efficient to create homes that are "future friendly." We write about and teach all of these principles and practices at professional conferences, as well as at our "Future Friendly Homes" blog at homesthatfit.com/blog. Michael J. Nadeau Carpentry started in 1987 and is celebrating its 30th year in business. His personal experience goes back to 1969 when he worked for his father, Roland Nadeau and his uncle Zoel Nadeau building custom homes. Building goes back three generations to Canada and his grandfather who used to hand hue logs and build barns. Michael has been very fortunate to have talented and responsible people work for him for numerous years including fully licensed and insured subcontractors who do all of his mechanical work. His company performs all of the carpentry work themselves. Michael believes that in home improvement it is very important to have a good plan, and coordinate and organize both employees and subcontractors from start to finish. “It makes the whole process run smoothly and on time. We are always complimented on how clean our job sites are. I encourage my staff to pick up on a daily basis.” Michael also believes that communication is imperative between the client and himself. He is always accessible whether it is a quick question or revision to the project. A visit to his studio / show room is encouraged to view kitchen and bath cabinets, windows/door displays as well as many other products. Our gallery of photos from completed projects is also a helpful way to get design ideas. The company performs new construction and home improvements including additions to homes, kitchen and bathroom renovations, sunrooms and decks, siding and roofing work. Our focus has always been on innovation and attention to detail. Michael's award winning designs have been featured in building and remodeling publications. He won the innovation and construction award sponsored by Anderson Windows and Doors on five occasions. He is on the advisory council for carpentry at Goodwin technical high school and mentored many students into the trade. His company donates time for charitable events and contributes to local and national charities on a regular basis. Aesthetic Renovations is a high value provider of home repair, restoration and remodeling services in Westchester County and Southern Ct. We have been providing our services with distinguished craftsmanship and outstanding customer service since 2002. Our firm provides personal service, creative-problem solving and competent project management for all elements of residential remodeling, restorations and general repairs. We are a group of Designers and Builders sharing the passion of transforming homes to unique places for our clients. 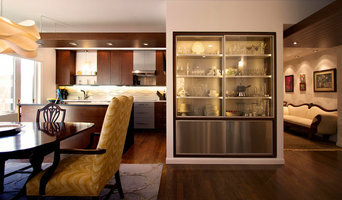 We are a Design and Build firm that provides services for the Greater Hudson Valley area, Berkshires and New York City. We work with residential clients as well as small businesses. Two years in a row, 2016 and 2017 we have won multiple awards from CRBRA an NAHB affiliate, for Best Kitchen Remodel over 75K (twice), Best Historic Renovation, Best Bathroom Design, Best Basement Remodel and Best Amenity Space. We are proud to say that passion, dedication and hard work pays off, and most of all a very grateful thank you to our clients, whom we hold very dearly. Together, founders Madeleine Dymling and Joseph McAvoy have over 40 years of experience in the Design and Construction Field. They bring a unique approach to your project, providing the client with the ultimate benefits of their design sensibility, innovative construction methods, and a strong environmental commitment. They understand the challenges of renovation, adaptive reuse and new construction and address their projects with intelligence, resourcefulness and sensitivity. Flatbrook & Co is an insured and bonded firm. They hold all necessary licenses for construction and are LEED AP certified for "Green" building. Morgan Contracting is a full service, residential contracting company with over 25 years of experience helping homeowners to design then build their dream project. We hold to the belief that the most efficient, cost- effective, and gratifying way to remodel or build is through the design/build process. Using this approach, you the homeowner have all your needs met with one single point of contact. From the moment you select Morgan Contracting we are your partner and are responsible for your project through the entire process: from the first conceptual drawings, the development of a financial investment, the creation of the schedule, through the construction and finishing of your project. Breakwater is a full service design and construction firm that specializes in kitchens, baths, additions and historic restorations. We start the design-build process by first identifying your wants, needs and budget. We'll then explore multiple design scenarios to fulfill this criteria. Construction of your project is scheduled once a design and budget have been established. During construction Breakwater's principals,. Lisa & Fred, remain hands on throughout the entire process. This time proven approach has earned us high customer service satisfaction. Design-build firms take on the responsibilities of architects, contractors and construction companies, all under one roof. These full-service firms focus on a streamlined design-build process — from the initial design to the estimating phase to physical construction — in the hope of creating an efficient experience for both the client and the company. Because the entire project is happening within one company, West Hartford design-build firms are able to overlap the design and construction phases of the project, which often speeds up the project significantly. In addition, these firms work to minimize risks for the project owner through single-point responsibility contracts. However, depending on the firm, you may still want to contact an interior designer or architect to help create the exact look you want. Here are some related professionals and vendors to complement the work of design-build firms: Interior Designers & Decorators, Landscape Architects & Landscape Designers, Architects & Building Designers, Photographers. Before deciding on a residential design-and-build company in West Hartford, CT, think about what you want from your new home. Do you want a large kitchen for entertaining? Do you need several bedrooms for children and guests? Do you want a finished basement for extra space or storage? 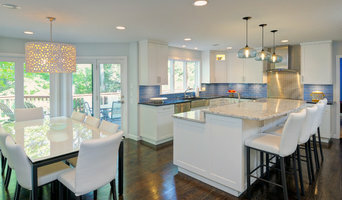 Look for West Hartford design-builders that specialize in the areas you're looking for. Budget is obviously a determining factor in the outcome of your project. To make sure you stay within your means, consider making a must-have list and a wish list. Gauge where the estimates are falling to determine which design-build contract can realistically strike the balance between the two. Find a West Hartford design-build company on Houzz. Narrow your search in the Professionals section of the website to design-build firms in West Hartford, CT. You may also look through West Hartford, CT photos to find a pool you like, then contact the design-build firm that created it.